This page has now been superseded. Visit the Our Services page. Here are a selection of Aircraft you might want to look at! 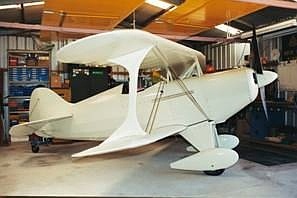 This beautiful Model S1 Pitts Special, Serial Number 353H was allocated the UK registration mark G-WHIZ in the late 1970’s. The construction of this aircraft has recently been completed after a 33 year build interval. The aircraft is located in South Australia where it is yet to fly. It has an M6 wing section with full span ailerons on the lower wings.It is powered by a Lycoming O-320 A2B engine fitted with an aerobatic oil system, an adjustable oil pressure relief valve, a high pressure fuel pump and a Bendix Stromberg PS5C pressure carburettor. A priming system has been installed to facilitate starting. The engine drives a Sensenich M74DM53 propeller.The aircraft electrics include a battery, starter and a light weight alternator. The aircraft is comprehensively instrumented with an ASI, T&B, VSI, altimeter, accelerometer, compass, tachometer, clock, fuel pressure gage, manifold pressure gage, CHT, oil pressure gage, oil temperature gage, ammeter, fuel contents sight gage and an inverted skid ball. The aircraft has been wired for but not fitted with a radio. A cutout in the console between the pilot’s legs will accept a 2-1/4” square radio module. The construction of this aircraft has recently been completed after a 33 year build interval. The aircraft is located in South Australia where it is yet to fly. It has an M6 wing section with full span ailerons on the lower wings. It is powered by a Lycoming O-320 A2B engine fitted with an aerobatic oil system, an adjustable oil pressure relief valve, a high pressure fuel pump and a Bendix Stromberg PS5C pressure carburettor. A priming system has been installed to facilitate starting. The engine drives a Sensenich M74DM53 propeller. 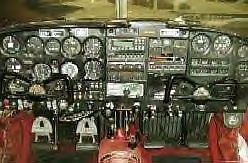 The aircraft electrics include a battery, starter and a light weight alternator. The aircraft is comprehensively instrumented with an ASI, T&B, VSI, altimeter, accelerometer, compass, tachometer, clock, fuel pressure gage, manifold pressure gage, CHT, oil pressure gage, oil temperature gage, ammeter, fuel contents sight gage and an inverted skid ball. The aircraft has been wired for but not fitted with a radio. A cutout in the console between the pilot’s legs will accept a 2-1/4” square radio module.The main harness has a five point fixing. 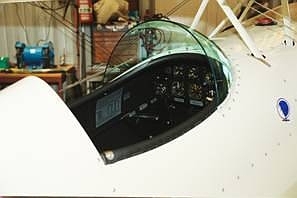 A lap strap with the release operating in the opposite sense to the main harness provides the pilot with a restraint system backup. 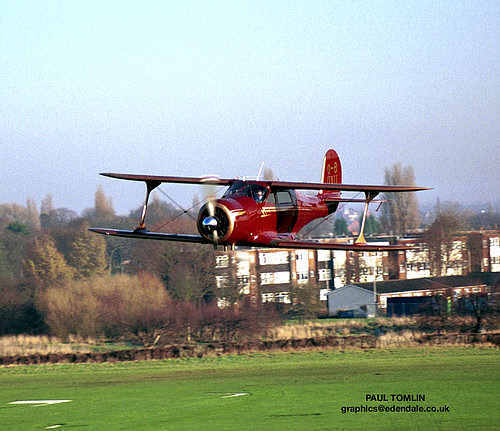 Construction of this aircraft started in the UK in 1970 where it was built under the supervision of the CAA’s Hatfield office. It was cleared for cover, the fabric was in place and the paintwork was well under way before it was shipped to Australia in 1980. It was accompanied by letters from the UK CAA and from the late Harold Best-Devereaux to the Australian authorities recommending that it be granted a C of A. For reasons that will not be elaborated work on this aircraft ceased shortly after the aircraft was brought to Australia and it was placed into storage until last year when it was completed to a point where it could be offered for sale. The aircraft is finished in Daytona White. It was intended to have a Pontiac Red sunburst and side stripes similar to those applied to Betty Skelton’s Little Stinker, however as it is being offered for sale the final paint finish has now been left to the discretion of the new owner. As it is not known whether the aircraft will regain its UK registration or end up on the Australian register it currently bears no registration marks. To minimise any problems with shipping in the event that it is purchased by an overseas buyer all the fluid systems are currently dry. The aircraft has been built to a very high standard by an aerospace professional who admits to being a perfectionist. The aircraft is being offered for sale together with all the drawings, notes, correspondence, receipts and documentation that have been accumulated during the build interval. This documentation includes comprehensive notes on the build state of the aircraft. 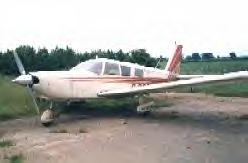 The aircraft is being offered for sale on an “as is where is” basis and the asking price is $A75,000 ONO. Much loved 6 seater single engine tourer. Minimum 5 hours endurance at 125 knots. Routinely used for flights all over Europe. Extremely reliable plane. Hangered in winter. Destinations in recent years include: Seville; Paris; Valencia; Bologna; Vigo; Macon; Zaragoza; Stuttgart; Perpignan; Bordeaux; Lemvig; Bordeaux; Brussels; Cologne; Geneva; Frankfurt; Milan; Basel; Malaga.